So far Strike Gold kids have his depth and its little surprise they are packing on the muscle just like their dad. Pale Rider's kids are long and tall just like him and are meaty. The bucklings below are the ones who are the top of this years kid crop. Only a select few will make the grade and most of my bucklings go to the stock barn. All are 100% New Zealand and will be DNA tested, parent verified, and can be registered with NKR. Delivery available to NKR Cookville, AKI, and other fall sales. Commercial (Affordable) Prices for quality 100% NZ Bucklings available as well. Contact me for details!! This cross should pack on the muscle as well as parasite resistance needed to thrive in our wetter climate. So far I haven't had to deworm any of my Indian Outlaw does or any of my kids. So that Outlaw parasite resistance genetics are present. ​This boy was the biggest of my fall kids to wean to date. Its no surprise when pairing Strike Gold and an Indian Outlaw / Roho Grande doe. He has Strike Gold's depth, big shoulders, wide neck, and broad rear end. Genetics include: RDH Indian Outlaw, ECR Black Gold, AAS Goldmine II, ECR Roho Grande(2), ECR Rusty(2), MRG Outlaw, and Moneymaker. If your looking for height, length, as well size to add to your herd take a closer look at this buckling. Pale Rider is out of Isaiah's Fire (Iron Horse) and Roho's Big Darlin one of the biggest Kiko does ever in existence. ​This buckling has Pale Riders frame and length/height as well as thickness. This will be a great addition to your herd. Genetics include: COO Iron Horse (2), Sunboy Stanton 149 (Nick), Loverboy, ECR Roho Grande, Sky S408 Sports Kat, and ECR Rusty(2). Another example that shows a Roho Grande/Indian Outlaw doe and Strike Gold is a superb cross. Parasite resistance and fast growth brought together into a nice package. He turned out to be a very deep, thick, muscular, buckling. Its no surprise when pairing Strike Gold and an Indian Outlaw doe! ​He has Strike Gold's depth, big shoulders, wide neck, and broad rear end. 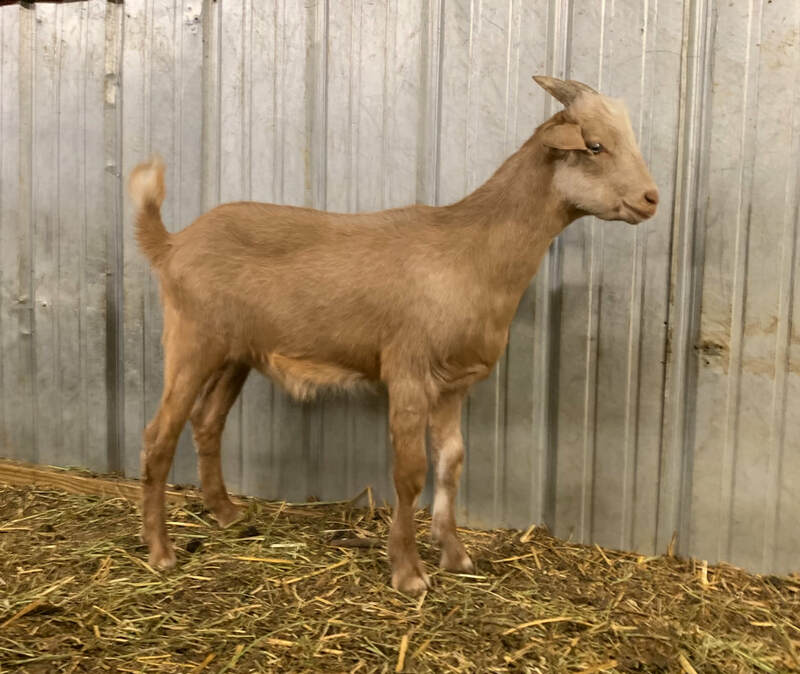 RDH Indian Summer is a big RDH Indian Outlaw doe from an ECR Roho Grande dam. Genetics include: RDH Indian Outlaw, ECR Black Gold, AAS Goldmine II, ECR Roho Grande(2), ECR Rusty(2), MRG Outlaw, Sunboy 117 Loverboy, and Moneymaker.